At Tier One People, we get to work with some amazing startups in FinTech and InsurTech. 2018 has got off to a flier, so here is the first Tier One People FinTech jobs update of 2018. There is an air of optimism that FinTechs are finally in a position to challenge banks, not just partner with them. Scott Morrison recently announced plans to legislate open banking, essentially customers will own their data and have far greater control. Great news for consumers and for FinTechs. And with the NPP (New Payments Platform) set to go live any day now, the landscape is set for more competition to enter the Australian Financial Services sector. Not surprisingly, there are some stealthy plays happening to take advantage of open banking and our sources have highlighted several emerging players launching this year. You may have heard of Xinja, who last month, had the honour of becoming Australia’s first crowdfunded equity raise. The raising for Xinja (a purely digital bank or neobank) was carried out by Equitise. AUS$500,000 was raised in one day (over $1m raised so far) and everyday Australians (like me) have been given the opportunity to be an early stage investor in what promises to be a super exciting venture. Congratulations to Eric Wilson and Van Le of Xinja and Chris Gilbert of Equitise. Xinja are not the only business taking advantage of open banking. Douugh will be launching in Australia very soon and we know of at least one other PE backed startup Neo Bank that has big plans. Tier One People have partnered with Australian FinTech Jobs, Australia’s only job board dedicated to FinTech positions. Thanks to Cameron Dart, CEO we bring a comprehensive view on hiring in the Aussie FinTech ecosystem. The roles below show that jobs on AustralianFinTechJobs.com.au are not just ‘finance’ or ‘tech’ roles. In the past month alone, everything from Personal Assistants to CFO’s and Board Appointments have been listed on the site, and everyone else in between. 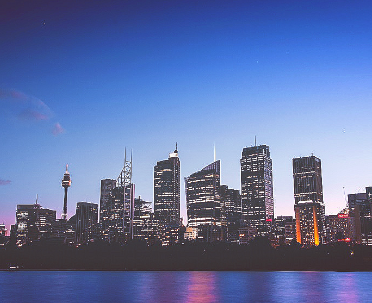 To read more about the Sydney Fintech market, please click on the link below….